Styled with a striking stone set blue dial, this elegant timepiece by Lorus is crafted with a sleek stainless steel bracelet and case and silver tone hands. Designed to add sparkle to every occasion. 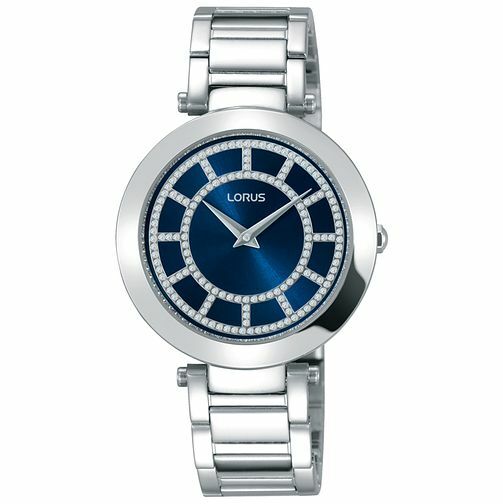 Lorus Ladies' Stone Set Stainless Steel Bracelet Watch is rated 4.5 out of 5 by 2. Rated 5 out of 5 by Anonymous from present ordered as a Christmas present. looks very nice so hoping the recipient likes it!